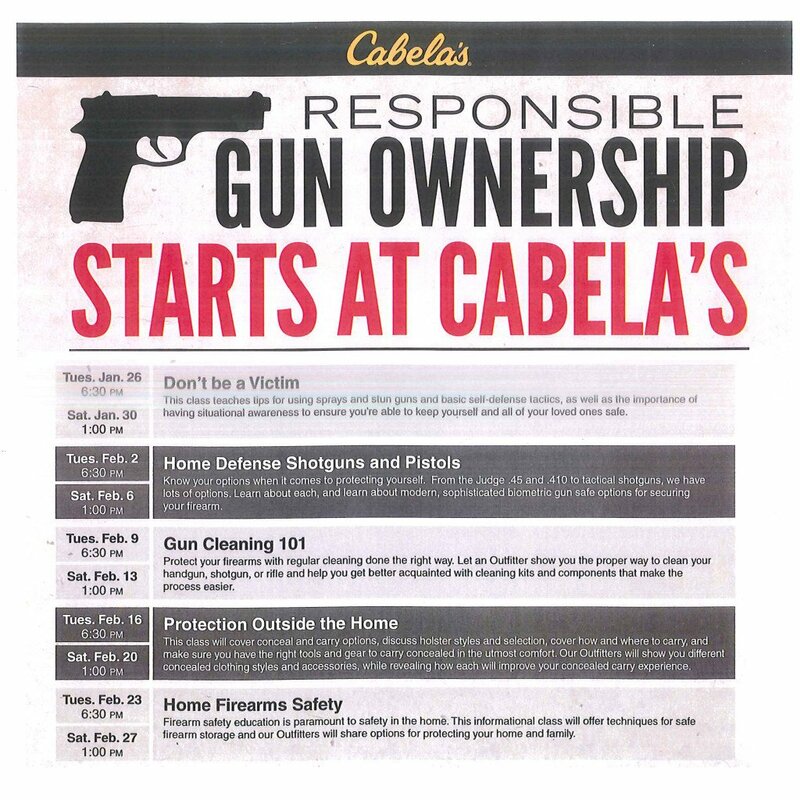 Cabela’s is offering all members of your organization to further your education in firearms. Below is a list of classes being held at Cabela’s in Hamburg. There is no charge to addend these classes. The class sessions listed are being held in the conference room on the second floor to the left of the restaurant.